We provide a simple, stress-free solution to maintaining nonprofit corporate and tax-exempt status. Your myRENOSI dashboard keeps volunteers and staff up-to-date on the state and federal registrations needed to get tax-exempt, and stay tax-exempt. We work with thousands of nonprofit groups in all 50 states to incorporate, register for fundraising, and obtain federal tax-exempt status. We also partner with nonprofit "parent" organizations to obtain tax-exempt status for their local, state and regional chapters and units, and help ensure their local units stay up-to-date with required state and federal filings. 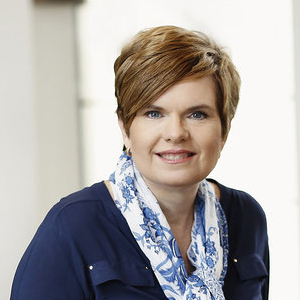 Sandra Pfau Englund is the founder of myRENOSI, the easiest way for nonprofit organizations to get started and stay in compliance with government paperwork. Sandra earned her Masters in Nonprofit Management and law degree from George Washington University and has dedicated her 25-year career to promoting the importance of successful nonprofit organizations. Sandra is a sought-after subject matter expert and has been quoted by NBC’s TODAY show and in Forbes and The Wall Street Journal, among others. She is published and speaks throughout the country on issues related to nonprofit legal liability, financial controls, and audits in a post-Sarbanes-Oxley world, board development and fundraising. Sandra’s first venture into the world of entrepreneurship happened in 2004. After noting the complexities of running a school booster organization as a result of serving as PTO president at her son’s elementary school, Sandra founded Parent Booster USA. Parent Booster USA obtains nonprofit status for school booster clubs across the country and maintains this status for them year after year. The widespread success of this organization made Sandra realize that this is a service which could be useful to all nonprofits. myRENOSI was founded out of Sandra’s love of nonprofit organizations and passion for making running a nonprofit more manageable. With a specialized background with nonprofits Sandra and her team know what’s important to potential clients. The dedication Sandra poured into myRENOSI is returned tenfold to the clients we serve. RENOSI is a mash-up of REgistration for NOnprofits SImplified. The word “renosi” also means “sandy” in Italian, which hides our founder’s name, Sandy Pfau Englund, inside our brand.